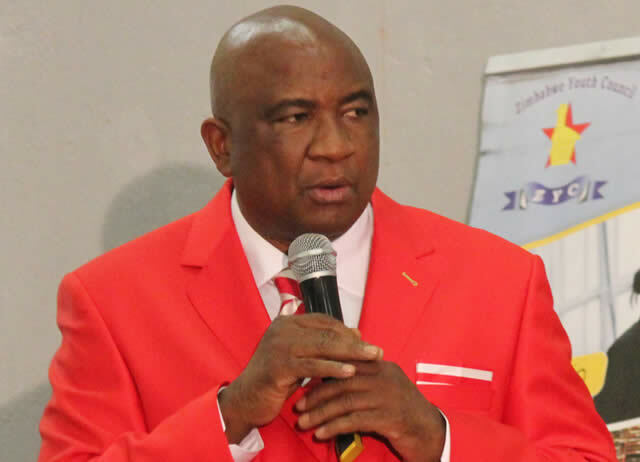 ZIFA president Phillip Chiyangwa has dared possible challengers to his leadership to pick up nomination papers before the October 30 deadline and go for the polls in December instead of making unfounded allegations against his regime. The nomination process for the Zifa executive committee elections opened on Tuesday this week and is set close on October 30 with the 58 delegates voting the committee on December 1. Chiyangwa, his deputy Omega Sibanda and executive committee member Philimon Machana have since declared that they will seek new mandates. "The election season is upon us, we are now left with elections for the Zifa executive committee and if there is anyone out there who wants to challenge my leadership let that person pick up the papers and come on board, everyone is free just join the race and we see what happens on election day," said Chiyangwa in an interview with Capitalk Radio yesterday morning. The flamboyant businessman said he never came to football to make money but to get rid of what he called football thieves. "We had people who were in football for money, people that were fleecing this association for their selfish gains and when we came in we said let anyone who is owed by Zifa bring physical proof of what they did and they all ran away. Zifa's current position is very good, we don't want people who will destroy our game anymore but if one thinks he wants to come on board, let him or her do so. Certainly I cannot please anybody but if people want our football, our Zimbabwe to shine, they must give me that space and let me do my job," said Chiyangwa. He scoffed at suggestions that he must stay in parliament and let football people run the game. "Are people aware that the man I campaigned against for the Caf president (Ahmad Ahmad) was a politician, a speaker of parliament (of Madagascar)? A number of FA presidents we have now are also politicians but like we are saying as long as one meets the requirements as spelt out in the constitution let them come on board and be in the race," said Chiyangwa. According to the road map, any person that wants to be president of the association has to fork out $5 700, of which $200 is for the nomination form. Candidates for the vice-president have to part with $4 200, with $200 going towards purchase of the nomination form. The four elected members of the executive outside the seconded ones from the PSL and women's football have to pay $3 200.